If you work in an office you know that the single most exciting event of any given week is receiving an email from Sheryl in HR that there’s free pizza in the breakroom. But why is that? Why, after receiving that email are you on your feet, just barely staving off a sprint, to get to said breakroom? The Huffington Post decided to delve deeper into “why you and your coworkers go absolutely nuts for free food” – talking to psychologist who are probably too good to eat leftover wraps from the other division’s lunch meeting. First, of course, people always like getting free stuff. “I just think that our culture places such a premium on getting something for nothing,” said Dr. Steve Terracciano, a cognitive and behavioral psychologist. But he also believes there’s another reason we get speedier when free food pops up: “It's reminiscent of survival kicking in.” Back in our caveman days, if you didn’t immediately, you didn’t know when you might eat again, so we’re naturally primed to get while the getting’s good. Part of the behavior is also learned, however, says Terracciano. People don’t want to miss out, so if you’ve ever felt slighted by not making it in time to get something for free – which pretty much all of us can relate too – you don’t want to that to happen again. And, of course, since it’s a work environment, there are social factors at play. 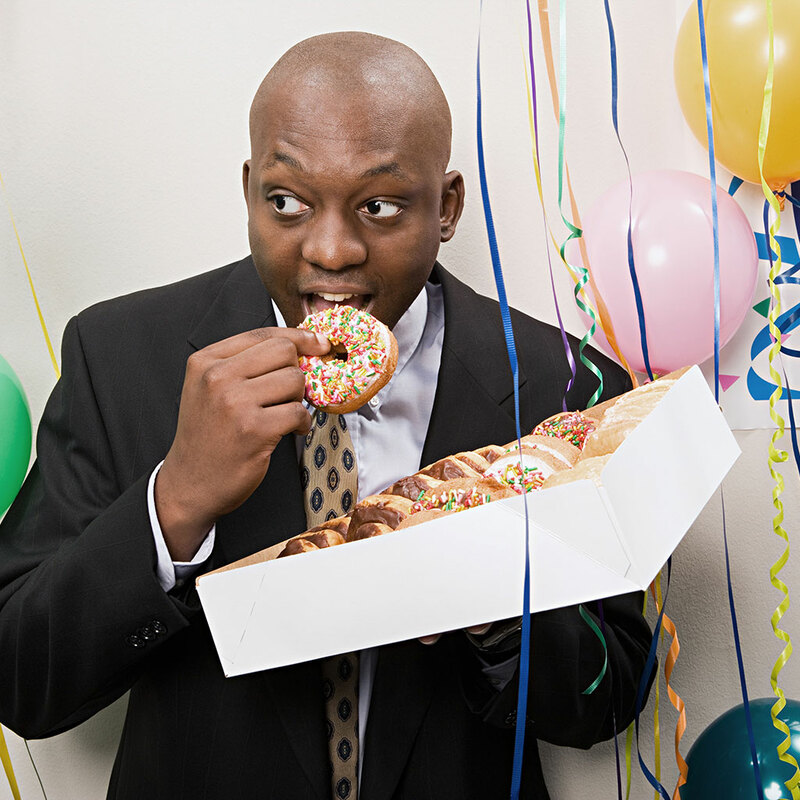 Turning down free food and the opportunity to socialize with your coworkers, can make you look like a black sheep. “Breaking bread together is a sign of trust,” Dr. Chloe Carmichael, a clinical psychologist, told HuffPo. “Sharing a meal together does help people to bond. It facilitates communication, trust and a shared sensory experience.” Free food isn’t just about food. It’s about a taking advantage of an opportunity to get away from work for a while and hang out. So why do we love free food at the office? Because we’re emotionally-scared, wild monkey people who feel the need to be accepted and would rather socialize than be stuck in a stupid cubicle. Now who’s excited for cake day?